The last week has been flat out for us, moving out of the old flat and moving into our new house. As was the issue a month or so ago, coming to the new home we are stuck without internet again…but now worries (for now) thanks to mobile technology! Moving out of the old place is both exciting and a little sad, but mainly exciting! 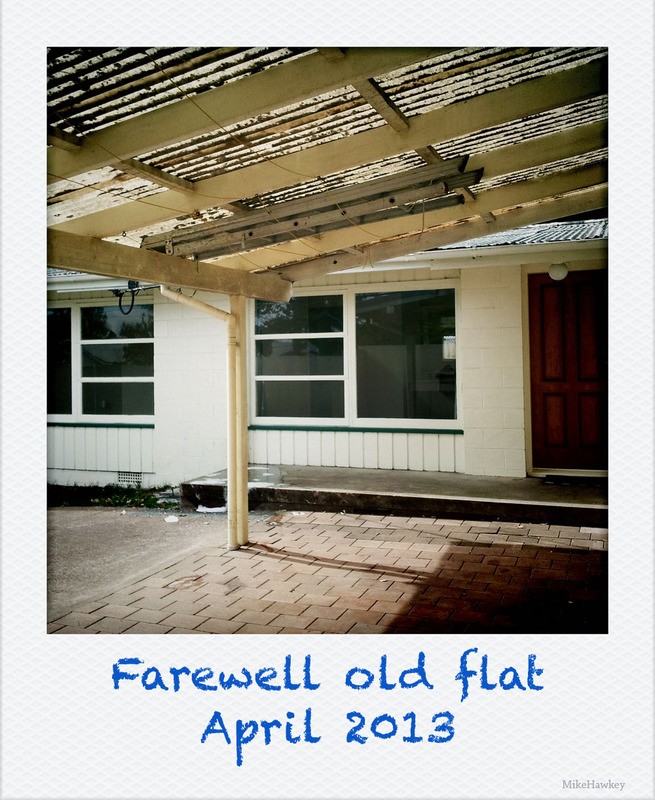 Todays image, the old flat, shot on the Samsung Galaxy S2 and text added with CS5. Thanks, & thanks for visiting my blog. Its all very exciting. I’m one for always having a project or two on the go & am looking forward to additions to the garden, setting up my workshop and whatever else I can get my teeth into. Your blog looks great. Will revisit for a bit longer once I get proper internet up and running again (mobile internet fairly data limited for the cost here).